You have mastered the essential aspects of Forex market and you have the drive and focus to direct your energy to success. You know what? Forex is likely to become your favorite playground! However, for a novice like you, it must be hard to know who is the right forex broker to pick out. But don‘t you worry about a thing! We‘ll help you select the best Forex brokers for beginners to avoid the possible tricks and frauds in forex trading. This forex guide is a kind of currency trading for dummies that will simplify and underline all the necessary steps to take. If you follow the steps, you won‘t be having a headache to choose a reliable broker. Here are some important and frequently asked questions that many newbies like yourself may ask. 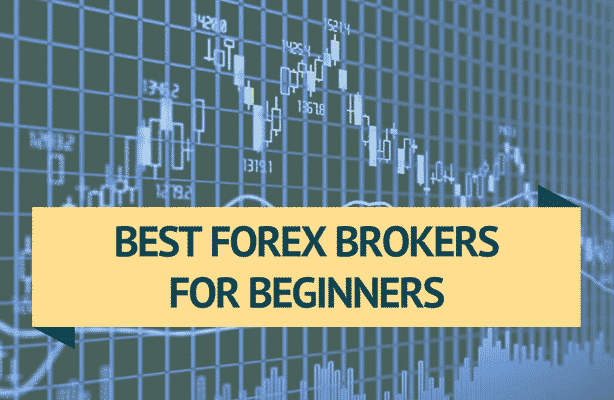 The answers will surely be useful in narrowing down your choice among forex brokers designed for beginners. You‘re one step away from becoming a successful trader, but make sure to select a broker who will offer reliable services based on your needs. The first thing to do is to select the trusted forex broker for beginners. But an inexperienced trader may ask: how do I check my forex broker? How to find out if the broker is registered and reliable? When you open your forex account you don‘t want your funds to be unsafe or stolen.The smartest thing to do is to check out if your broker is registered with NFA (Natural Futures Association) or CFTC (Commodity Futures Trading Commission) if it is located in the US, or FSA (Financial Service Authority) if it is located in the UK. For the EU regulatory bodies that control EU Forex markets, check out this site: www.tradersasset.com/forex/brokers/european-forex-brokers. You may also check the broker reviews and forex broker list of customers, but if it isn’t registered in any of these agencies regulated by specific state authorities, you better skip it. These agencies provide a license that enables a broker to be listed on the market. Keep in mind that a reliable broker must have a license! Another thing, a good forex broker must have a good reputation, so it‘s also good to look for the opinion on the public image of a company. Don‘t be lazy to check out the charts of relevant trading platforms created either by real customers or by experts who share their experience on the official trading websites. Be one step ahead of everyone else! Thankfully, forex market doesn‘t neccessary require a considerable minimum amount to start forex trading. Since forex minimum deposit allows flexibility, you can start trading with significantly less capital than required for day trading stocks. Let‘s say the minimum amount goes from none to $10 000. If you don‘t have $10 000, it‘s not the end of the world! Most brokers operate multiple account types, so the traders can choose which category they want to be in (minimum accounts, VIP accounts etc). How much money do I need to start trading forex? The amount of money you need to start trading is determined by your goals. It‘s not the same if you want to simply increase your account, or you want a regular income. With the minimum opening balance, the trick is that people are impatient to let their account grow, and they risk too much on each trade, but eventually they lose everything! Don‘t be that impatient and greedy person! Before trading forex, you need to check out what are forex fees to open a trading account. Some brokers advertise forex commission free trading, but still take money from trades through a bid/ask spread. So before making any trade, make sure how all the parties involved are being compensated. Another thing, before choosing a forex broker, you should begin trading with no money – open a demo trading or a practice account. If bad things must happen, let them happen in a demo world! 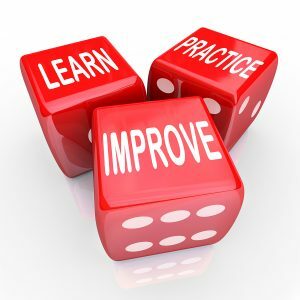 On the road to forex stardom, you must practice your forex skills to become a professonal trader. Download a free forex demo account and start earning the virtual money! You‘ll find a demo account on every reliable broker‘s homepage. You‘ll see that an interface is very easy-to-use. Test different trading strategies for an unlimited period of time, and find the one that suits your needs. The best demo account provides you with the same conditions as live accounts, but without risks of losing money. This is a safe environment for the novices like yourself to take their first steps in the forex market. Besides learning basic aspects of forex, you‘ll get the opportunity to become a strategy pro and a good evaluator of broker services using charts, technical analysis indicators and so on. When you think you‘re ready, having mastered all the essential trading strategies, it‘s time to open free forex trading account with real money. This live account gives you more than a demo, even with minimum funds, cause you‘ll start sensing the relationship between the profit and currency movements. Besides demo accounts, the majority of brokers offer welcome benefits for newbies such as a welcome bonus or no deposit bonus. All you have to do is sign up on broker‘s homepage to earn your welcome gift. For brokers, it’s profitable to draw the attention of new traders. Anyone who hasn‘t been registered can receive free forex dollars. These deposit bonuses are given only for trade, but you can‘t withdraw it unless you fulfill certain conditions of a trade turnover.